Nebraska landed a commitment from 3-star defensive end (HV Rating: 86.3) Mosai Newsom‍. He made things public when he announced his decision on Twitter Monday morning. Newsom made three separate trips to Lincoln this spring, while forming a bond with the staff and players on the team. He first made a surprise visit on March 15 and returned for Junior Day on April 7. Newsom was also at the practice in April where over 100 former Nebraska football players were in attendance, which left a big impression. 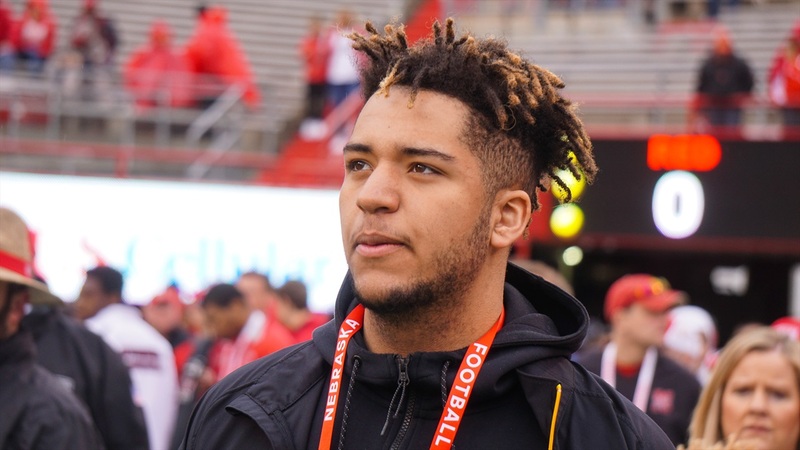 Newsom was a high priority for Nebraska in this recruiting class, especially as they continue to look for the right players for the defensive line. Defensive coordinator Erik Chinander was Newsom’s lead recruiter, showing the coach's dedication to recruiting his home state. The Waverly, Ia., prospect is viewed as a near perfect fit at defensive end for Mike Dawson's line. He also has the versatility to slide anywhere along the line of scrimmage to give different looks. Newsom becomes Nebraska's 14th known commitment in the 2019 class. Landing Newsom also means the Huskers were able to keep him from joining another Big Ten roster. He chose the Nebraska over Iowa, Minnesota and Michigan State.